Love at first bite: #RubbedInDetroit – Eat. Rest. Repeat. 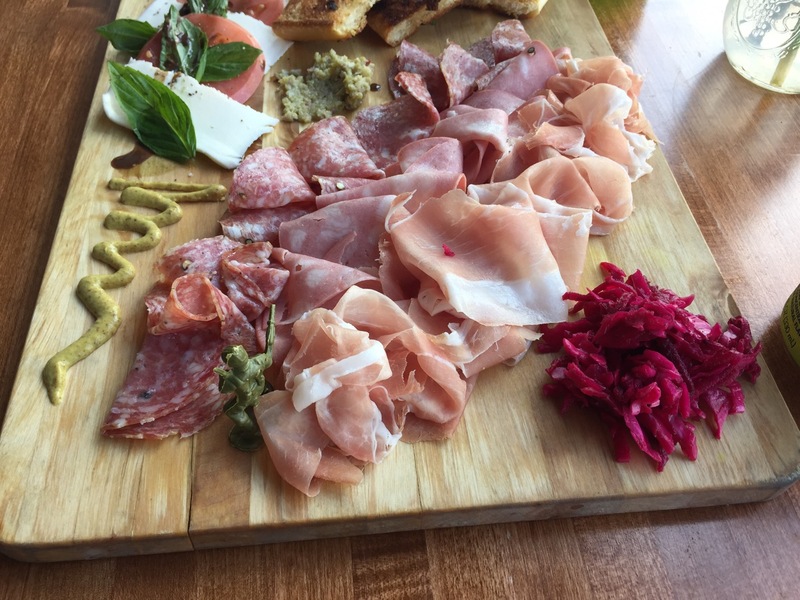 This past Friday, I had a hankering for charcuterie. Strange craving, right? I know….and no, I’m not pregnant. 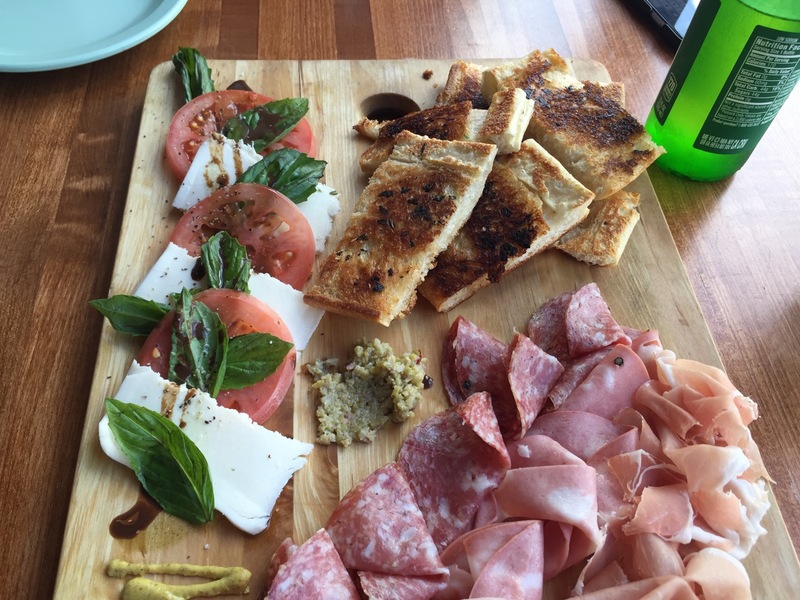 I had to try my hardest to think of some places I had memorable charcuterie boards at. Oddly, nothing came to mind. 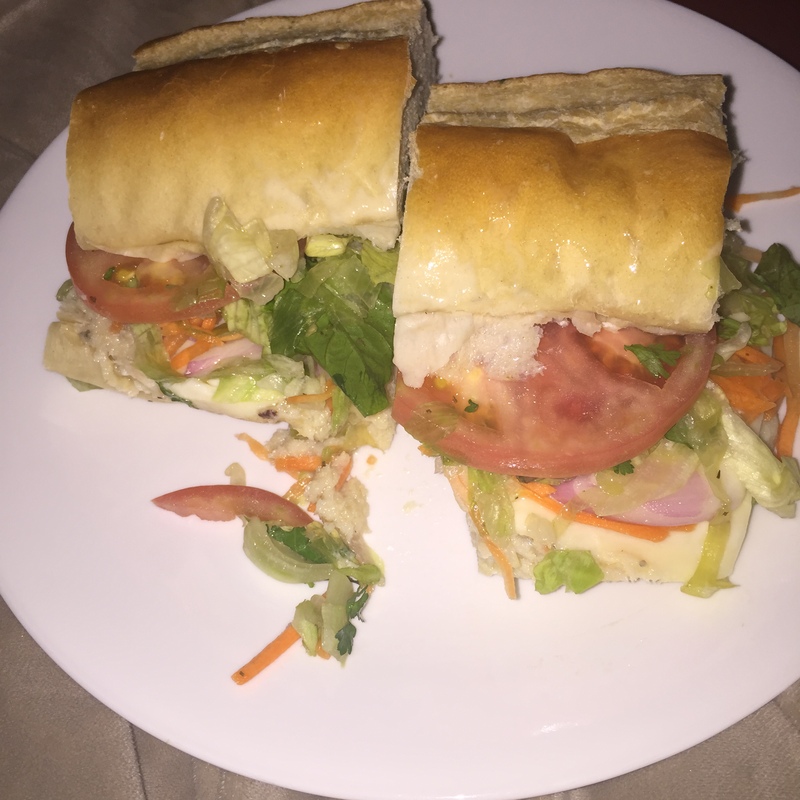 I tried to push that craving out of my thoughts….but my stomach was yearning for cold cuts and pickled veggies; something meaty, salty, savory, wholesome, simple, elegant…. That’s when I decided to do a Google search, and stumbled upon RUBBED in Detroit. I had never heard of it, never seen instagram tags of it, nothing! Surprisingly, despite never seeing or hearing about this place from my local foodie friends, the reviews online were pretty top-notch. That Friday, we decided to wander into this low-key establishment and check it out. First impression: hipster. This place was eccentric, cool, quaint, random. I mean, check out this huge print hanging on their wall! 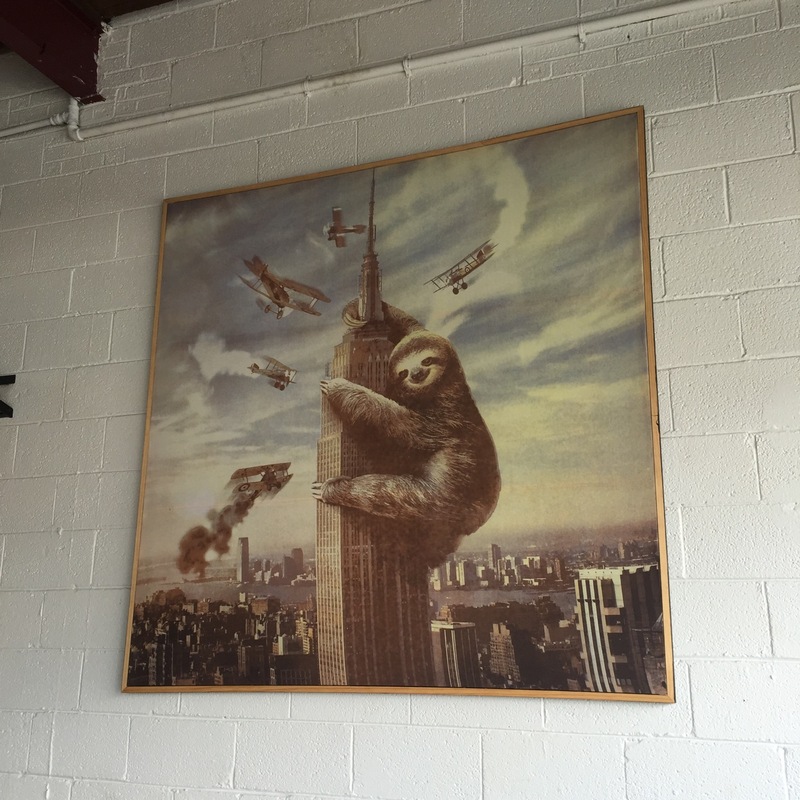 Sloth-zilla? Where else would you expect to find something like this? 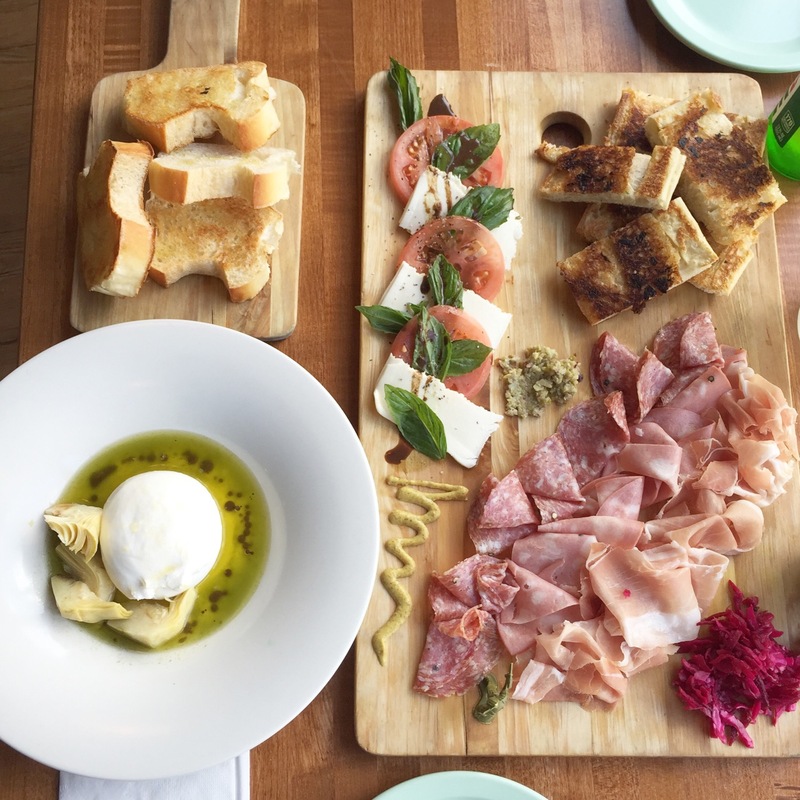 We ordered the Italian Board. 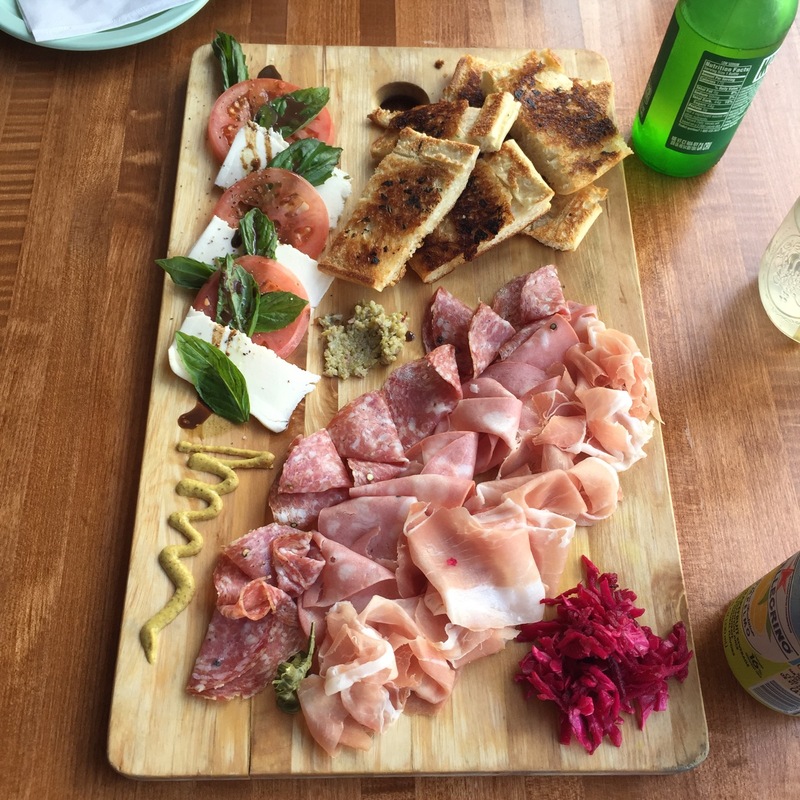 This consisted of toasted bread, a caprese salad, salami, mortadella, prosciutto, mustard, a small amount of what appeared to be tapenade, and pickled cabbage (I think). OH, and a random (inedible) toy soldier on the board. I thoroughly enjoyed this board. It was exactly what I was craving. It was cohesive, delicious, and flavorful. The artichoke was not bad with it, but I would have preferred capers to give it a little bit of salt. 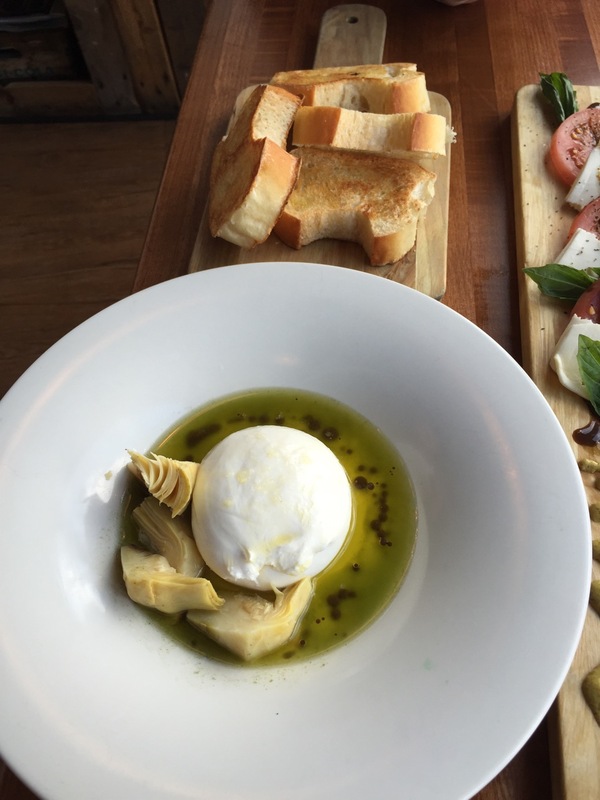 Overall, the Burrata was okay….not anything spectacular; rather bland, actually. The bread that came with it was awesome though! It had a perfect light toast, while still remaining soft and chewy. If you like the condiments that they have to offer, you can buy them by the jar! 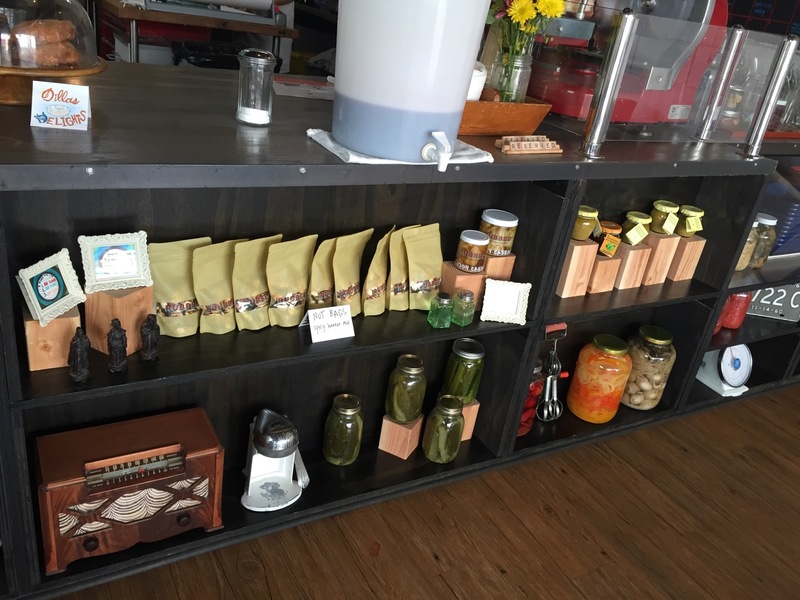 Shown above are the various packages they offer; everything from pickles to tapenade to a fig jam. Although I went to Rubbed for the charcuterie, what they’re REALLY known for are their sandwiches. We grabbed some to go on our way out, and we were pretty impressed. Their bread is excellent, and the ingredients they use are super fresh and crisp. 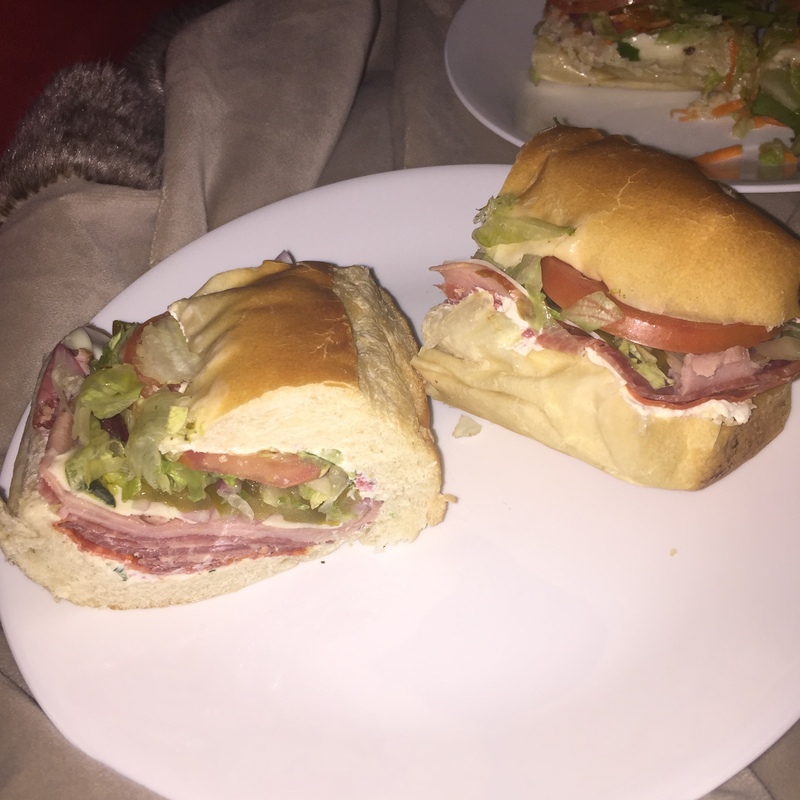 Their meats are divine, and their sandwich compositions are very unique. The flavors they have to offer are definitely something you would never find at Jimmy Johns or Subway. I give this place the green light. It has an awesome atmosphere and delicious, simple food!